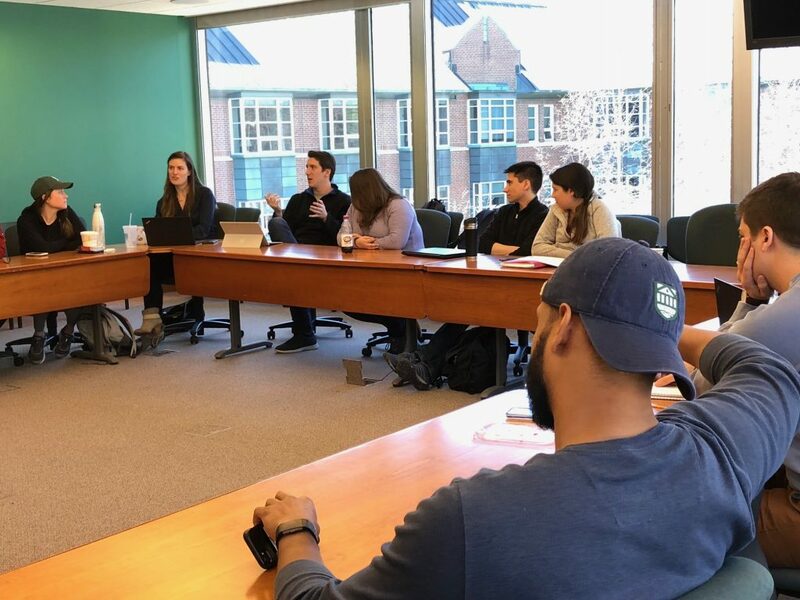 The MBA Associates Program offers first-year Tuck students a structured opportunity to learn about digital strategies via direct engagement with CDS. The program enables a selected group of students to become and active participant in the digital business discussions offered by CDS, with an emphasis on peer-to-peer content exploration. Students engage with center staff and faculty, second-year MBA Fellows, alumni, and other executives on digital strategy topics, forming a community of interest centered around technology trends and their implications for business leaders in the digital age. Several times a term, students assemble for discussion-based learning sessions lead by members of the group. Students pick the topics, identify initial discussion questions, and source readings. Center staff and faculty help facilitate by sharing knowledge and asking relevant questions. In 2017, the inaugural group included 24 students. Topics examined ranged from the Facebook/Cambridge Analytica scandal, to GDPR and data privacy. For more information, contact center Associate Director, Patrick Wheeler.